Akara Resources, subsidiary of ASX-listed Kingsgate Consolidated Limited, is the leading gold producer in Thailand owning the largest and most important gold mine in the country: Chatree. 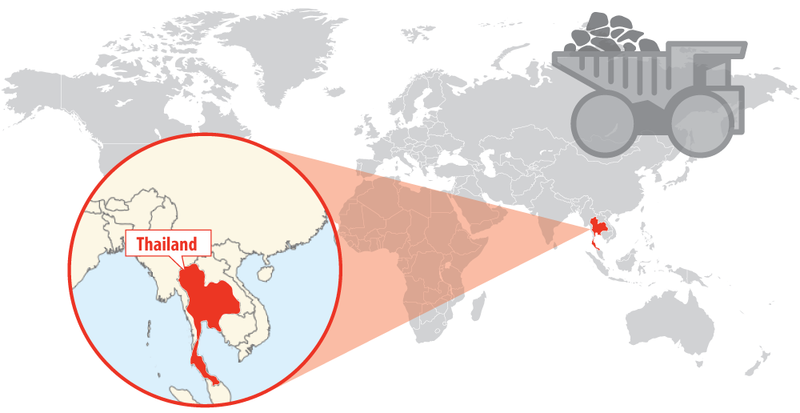 The Chatree Mining Complex is nearly 300 kilometres far from Bangkok. The mine operators were under pressure from a community and government regulator that perceives that adverse impacts are being experienced by the local communities due to their proximity to the mine. In fact the mine operations had been suspended in the past due to this concern. 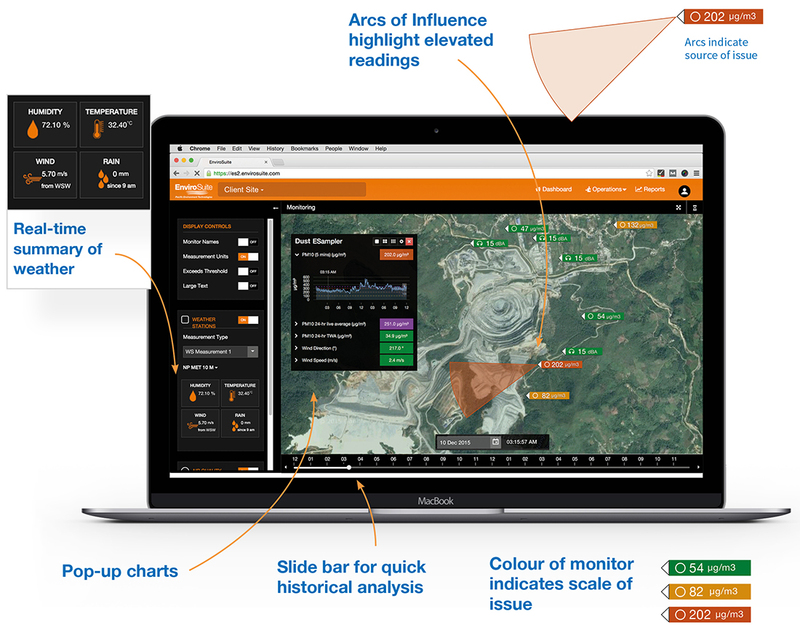 However, the innovative EnviroSuite – Libelium solution provides the mine operator with an advanced system to manage risks of impact on the community and enables them to keep track of any evolving issues using real-time data rather than a perception of unmitigated risks. Monitoring module for real-time meteorological and air quality updates. Modelling module for predictive and risk management operations. Libelium Wireless Sensor Network has been installed to control air quality parameters and to monitor real-time weather changes. 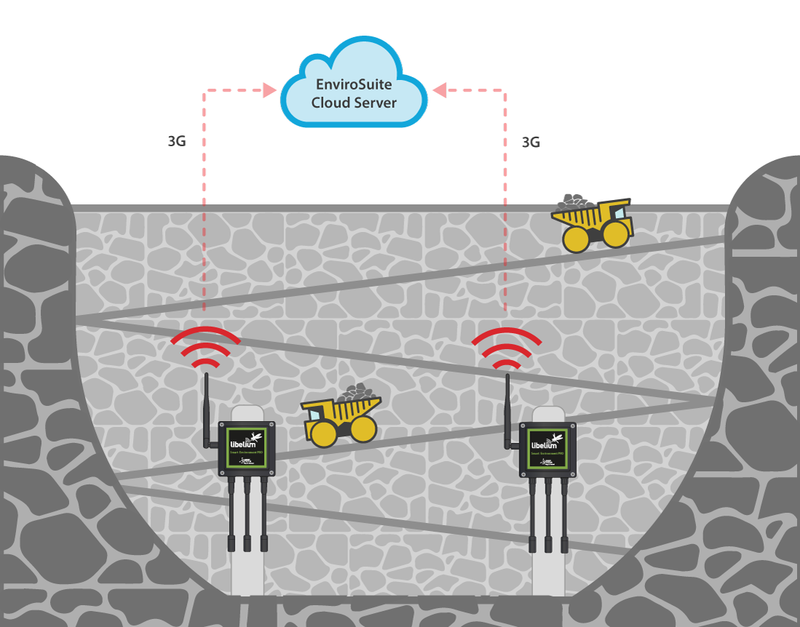 The mine´s air quality will be monitored by Libelium’s Waspmote Plug & Sense! Sensor Platform in real-time and stored using EnviroSuite’s Air Quality Module. The archived data can be accessed for use in compliance reporting and back tracking for accountability. Hydrogen Cyanide (HCN) and Temperature sensors from Libelium Plug & Sense! Smart Environment PRO have been used in order to measure some parameters. In this case, the nodes communicate directly with EnviroSuite Cloud Platform through 3G. One of the aims of the project is maintaining a strong environmental management system adjusted to regulatory and social licenses in order to improve the relationship with Public Regulation Organizations. Plug & Sense! Smart Environment PRO has been designed to meet the regulations and demands of governments and municipalities for Smart Cities or Air Quality deployments. One of its key features is the calibrated Gases PRO Sensor Board which is able to monitor environmental parameters such as temperature, humidity, pressure, particle matter in the air (dust) and 16 different types of gases. “The result of the project has been successful using EnviroSuite with Libelium Sensors to further enhance our environmental management and bring an even greater level of accountability and transparency to our most important stakeholders”, affirms Greg Foulis, Kingsgate Limited CEO. EnviroSuite is the Cloud Platform used for data visualizing. Through the Air Quality Module data collected can be real-time monitored and analysed. “EnviroSuite is quickly gaining international recognition for the vital insights it delivers to help companies reach operational and regulatory goals, as well as providing essential transparency for community relations”, consider Pacific Environment CEO, Peter White. The project carried out by Libelium and Pacific Environment could be deployed in other metal mines. EnviroSuite’s Platform has previously been deployed in other projects related to the mining sector in coal and iron ore mines in Australia with clients such us BHP Billiton, Rio Tinto, and Anglo American.